Led by Democratic Congresswoman Robin Kelly and Republican Congressman Will Hurd, the bill has gained notable support already. While this is a perfectly logical step forward to ensure the integrity and resilience of government systems, the fact the politicians seem to be taking an impartial approach, not targeting a single company or country, is much more encouraging. When discussing digital security, a mention of Huawei or China is never far away, but this seems to be an effort to mitigate risk on a much grander scale. Yes, the US does have ideological enemies it should be wary of, but it is critical politicians realise there are risks everywhere throughout the digital ecosystem. It is easy to point the finger at China and the Chinese government when discussing cybersecurity threats, though this is lazy and dangerous. Having too much of a narrow focus on one area only increases the risk of exposure elsewhere. Such are the complexities of today’s supply chain, with companies and components spanning different geographies and sizes, the risk of vulnerability is everywhere. It is also very important to realise cybercriminals can be anywhere; when there is an opportunity to make money, some will not care who they are targeting. Domestic cybercriminals can be just as much of a threat as international ones. This impartial approach, applying security standards to IOT devices regardless of origin, is a much more sensible approach to ensure the integrity of networks and safeguard sensitive data. Of course, this is not necessarily a new idea. Many security experts around the world have been calling for a standardised approach to IOT security, suggesting certification processes with minimum standards. Such a concept has already been shown to work with other products, such as batteries, therefore establishing a baseline for security should not be considered a particularly revolutionary idea. What is also worth noting is that while this is a good idea and will improve protections, it is by no-means a given the bill will pass into a law. A similar bill was launched in 2017, though it was quashed. It might sound like the beat of an old drum, but eventually management teams will get the idea. Each week new reports emerge suggesting security is an under-appreciated and under-funded aspect of the digital economy, and this week the Government is throwing its own arguments forward. This report measured the attitudes of the FTSE-350 companies across the UK. While the report suggests 96% of businesses have a cyber-security strategy in place, this might prove to be somewhat of a misleading statistic, offering misplaced comfort. The presence of a strategy is irrelevant when the funds are not being appropriately allocated to put the plan into action. If only 16% of the purse-string holders understand the threat, appropriate investments are not going to be made, therefore the problem will persist. Awareness of cyber-security threats are increasing, 72% of respondents to the survey acknowledge the risk of cyber threats is high, and while this is an improvement on the 52% in the 2018 report, this number is still too low. This is the position many businesses are in. 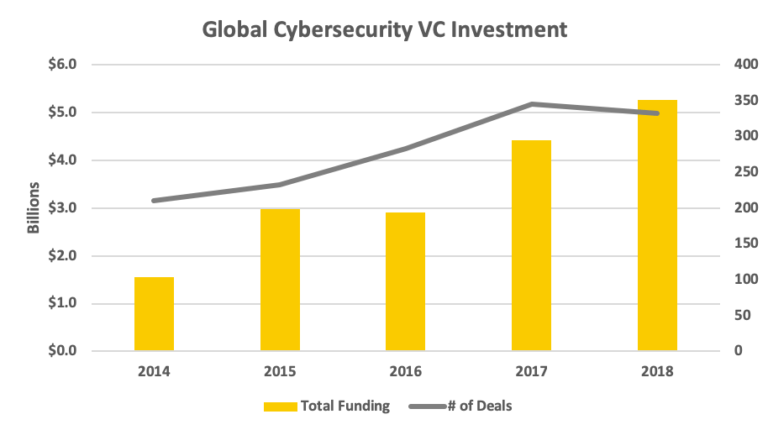 Security is a recognised threat, but with many board members under pressure to produce profitability, funds are being directed to areas which will add to the bottom line. Security is not one of these areas, though the emergence of GDPR and changing consumer attitudes should help this. Firstly, GDPR was introduced last year, though the first punishments are beginning to be handed out. As soon as board members start to see the hefty GDPR stick swinging, punishing those who are not deemed sufficiently prepared for a cyber-security breach, attitudes will change. The fines can be eye-wateringly high, and if you want to make an executive listen to you, hit them in the wallet. Secondly, consumers are becoming more security-conscious. With breaches becoming more widely reported in the press and scandals drawing attention to data privacy demands, consumers (and enterprise customers for that matter) are becoming more aware of what should be considered adequate. Security will soon become a factor in the purchasing decision-making process, and companies will have to prove their credentials. The tides are slowly turning, and soon enough the digital economy might be equipped to deal with the threat of the dark web. That said, with the astronomical pace of progress, you have to wonder whether the challenge is starting to become too big for the chasing peloton. “Cyber-security is a mainstream business risk, and board members need to understand it in the same way they understand financial or health and safety risks,” said Ciaran Martin, CEO of the National Cyber Security Centre. It isn’t often the worlds tech giants all get along, but this seems to be an area which they can all agree on. Something needs to be done to remove a repeat of the controversy which has constantly stalked Donald Trump’s Presidential win, and it isn’t even worth bothering listening to the opinions of the government. According to Buzzfeed, Nathaniel Gleicher, Facebook’s Head of Cybersecurity Policy, called the meeting, inviting twelve other organizations but the government was not on the list. The snub seems to follow a similar meeting in May, where each of the invitees left feeling somewhat disappointed with the government contribution. We can only imagine Department of Homeland Security Under Secretary Chris Krebs and Mike Burham from the FBI’s Foreign Influence Task Force simply sat in the corner, one holding a map and the other pointing to Russia shouting ‘we found it, we found it, look, they don’t even do water sports properly’. “As I’ve mentioned to several of you over the last few weeks, we have been looking to schedule a follow-on discussion to our industry conversation about information operations, election protection, and the work we are all doing to tackle these challenges,” Gleicher wrote in an email. The meeting will take place in three stages featuring the likes of Google, Twitter, Snap and Microsoft. Firstly, each company will discuss the efforts they have been making to prevent abuse of the platform. Second will be an open discussion on new ideas. And finally, the thirteen organizations will discuss whether the meeting should become a regular occurrence. While interference from foreign actors has proved to be a stick to poke the internet giants in the US, criticism of the platforms and a lack of action in tackling misinformation has been a global phenomenon. European nations have been trying to hold the internet players accountable for hate speech and fake news for years, but Trump’s Presidential win is perhaps the most notable impact misinformation has had on the global stage. With the mid-term elections a perfect opportunity for nefarious characters to cause chaos the internet players will have to demonstrate they can protect their platforms from abuse. Should abuse be present again, not only would this be a victory for the dark web and the bottom dwellers of digital society, but it will also give losing politicians an opportunity to shift the blame for not winning. While this meeting is an example of industry collaboration, each has been launching their own initiatives to tackle the threat. Facebook most recently revealed it scored users from one to ten on the likelihood they would abuse the content flagging system, and has been systematically taking down suspect accounts. Twitter has algorithms in place to detect potential dodgy accounts and limits the dissemination of posts. Microsoft recently bought several web domains registered by Russian military intelligence for phishing operations, then shut them down. Google has also been hoovering up content and fake accounts on its YouTube platform. Whether the internet giants can actually do anything to prevent abuse of platforms and the spread of misinformation remains to be seen. That said, keeping the bundling, boresome bureaucrats out of the meeting is surely a sensible idea. Aside from the fact most government workers are as useful as a bicycle pump in a washing machine, Trump-infused politically-motivated individuals are some of the most notable sources of fake news in the first place. Telecoms.com periodically invites third parties to share their views on the industry’s most pressing issues. In this piece Cormac Whelan, CEO UK & Ireland, Nokia Networks looks at how the cybersecurity landscape is evolving. The Fourth Industrial Revolution, the increasing connectivity of our lives and businesses, is driving business transformation and improving the lives of employees and customers globally. But there’s a darker side to this increased mobility and interconnectedness in the form of security risks that grow exponentially as more data and business operations move to the cloud. Quicker, smarter cloud apps that power business growth are also driving a quickly evolving threat landscape, with at least 360,000 new malicious files detected every day in 2017 (an increase of 11.5 per cent from 2016). The UK Government’s Cyber Security Breaches Survey 2017 found that almost seven in 10 large businesses identified a breach or attack last year. What’s more, businesses holding electronic data about their customers were far more likely to be compromised than those that didn’t. In tandem, governments, utilities and public services are also at greater risk than ever. An attack resulting in loss of connectivity or equipment damage can leave an entire city without electricity. The recent WannaCry ransomware attack affected some 400,000 computers in over 150 countries and resulted in major outages in key services such as healthcare, transport and banking. As more and more data gets stored on mobile devices, the risk of attacks increases. With every business, financial institution, telecoms provider, energy company and government at risk, the only effective response is a defence strategy to protect assets. Operators need to think not only about how criminals can gain access to their networks, but also what they do when they are inside. Temporary loss of files, compromised software or systems, permanent loss or change of files or personal data, lost access to third party systems, money assets or intellectual property stolen – all are possible in any number of combinations. Think of this like a large building with black and white windows. In order to repair the building, you need to find the black windows – analyse the problems to find where threats and viruses can come in. The broken window then needs to be fixed; a new window or a new frame (implementing the right solution and software). To add to the complexity, the windows are constantly changing, so continuous monitoring is needed to keep up. Only through these four elements – the right assessment, the right solution, the right software, and the right monitoring, can the building be secured. Of course, this was much easier when data was operators’ own and applications were hosted internally. Companies had their own servers and could install a firewall. Now, to defend assets operators need qualified security professionals, a good understanding of vulnerability of important domains and a continuous up to date management. Even with talented staff in place, the threat landscape changed, with new viruses, new systems and new types of software and approaches needed. Cybercrime is moving from computers to mobiles and the Internet of Things. Mobile network infection has gone up by 63% and 50%of those attacks are very serious, with ransomware spreading easily into networks. All new devices that connect into an operator’s network are new vulnerability points and this pool is growing daily as the IoT booms. In the near future, every area of our life will be connected by a sim card and the vulnerability this brings along with the potential for device loss or theft is huge. Alongside the business impact of network attacks (such as lack of network, impacting critical operations), there’s the very real risk of private data loss. Not only can enterprise problems cause consumer problems through lack of access or loss of service, but companies are responsible for keeping the customers, and their data, safe. Regulations, particularly in the EU, mean that if a virus at the network level allows a hacker to steal 9 million credit card details, the company responsible for the data loss will be held to account. Now is the time for companies to start thinking about the vulnerabilities the Fourth Industrial Revolution and ever-expanding Internet of Things will expose. Keeping operations and customers safe needs to be firmly front of mind, both in terms of companies’ own networks and applications, but also in terms of where a network interacts with others. It’s a complex puzzle and it can be difficult to know where to start, but only by undertaking a thorough assessment and benchmarking against industry averages can an operator create an improvement plan and take steps toward becoming ready for potential security risk. With a plan in place, it is possible to identify the right solution, implement the right software and have a deeper understanding of the monitoring required to keep the business safe. Keeping data safe will be an essential part of realising the benefits and potential of the Fourth Industrial Revolution. Cormac is currently the CEO for the UK & Ireland at Nokia, having taken up this role in January 2016. In this role he leads all operations for the UK & Ireland markets including sales, business management, delivery and operations. 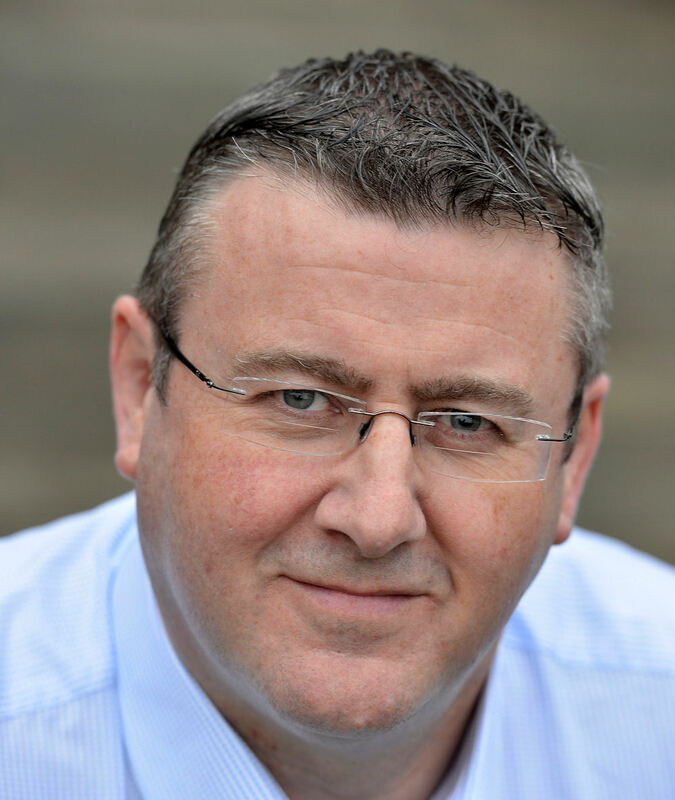 As a senior executive over more than two decades in a number of global blue-chip organisations, Cormac has extensive experience is sales, marketing and business development. In addition he has proven expertise in strategic planning and driving transformation and change management in large scale businesses.